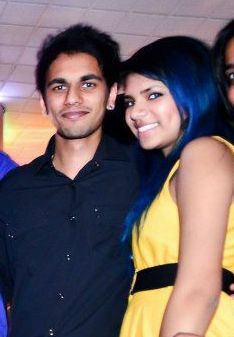 I don’t exactly remember meeting Rajneil for the first time simply because we have known each other since we were kids. We were family friends which meant we would often attend many religious functions and other events together. At first, I didn’t think much of him. He was just another person who I would see occasionally and speak to once in a while. Then somehow everything changed. This was at a point in my life when I was at my lowest of lows where I personally felt like everything around me was falling apart. The only thing that was keeping me together was my neighbours baby who somehow gave me a new meaning to life. At that same time, when I would see Rajneil interact with this baby I knew then and there that I was falling in love with someone who was just a distant friend at the time. Fast forward about 5 years later, when we began to talk to each other more genuinely and became more and closer together (this was without him knowing that I was in love with him). I guess in my mind I never thought we would be anything more than just friends especially because we were friends for so long and I didn’t want to risk that relationship. Little did I know, he had the same feelings about me and even told his best friend that he would marry me someday and the rest is history. 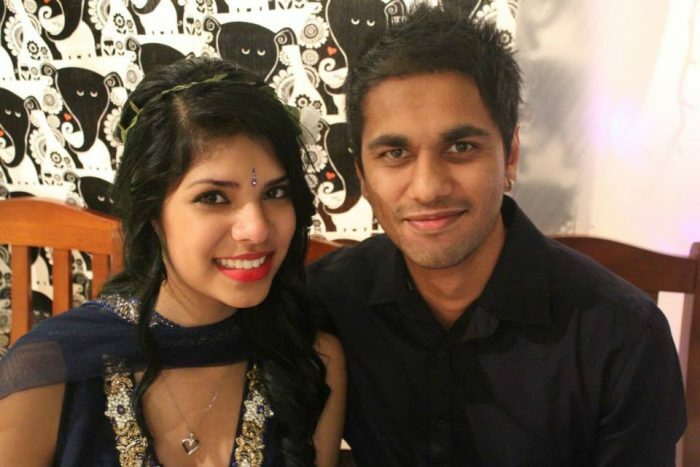 Rajneil and I wanted to go somewhere nice for a holiday and on many occasions, we talked about traveling to Hawaii. So as a birthday present, Rajneil’s parents bought us tickets to Hawaii and they had accompanied us as well. The trip started off well with us planning on what we wanted to do on the 5 days we were there for. 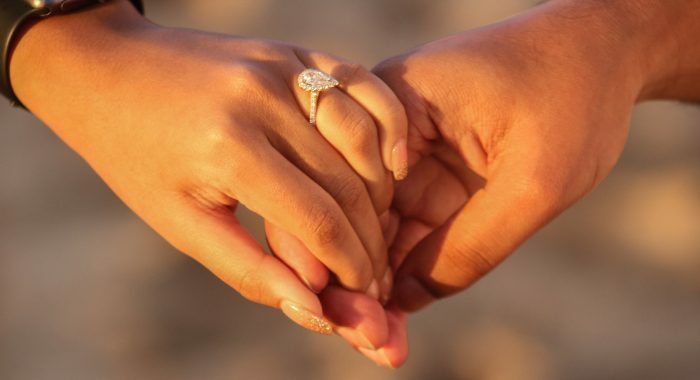 Rajneil spoke to the travel planner often to try and find the perfect place to propose. 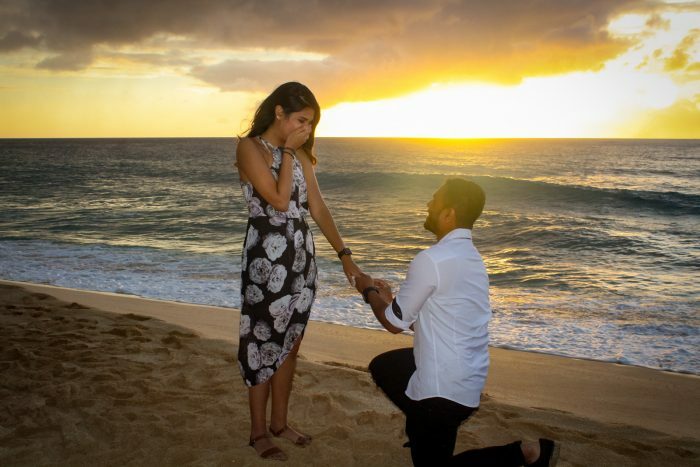 He initially wanted to propose near the Kilauea Volcano, however, at that time, the volcano was erupting and we could only see it from above on a helicopter. 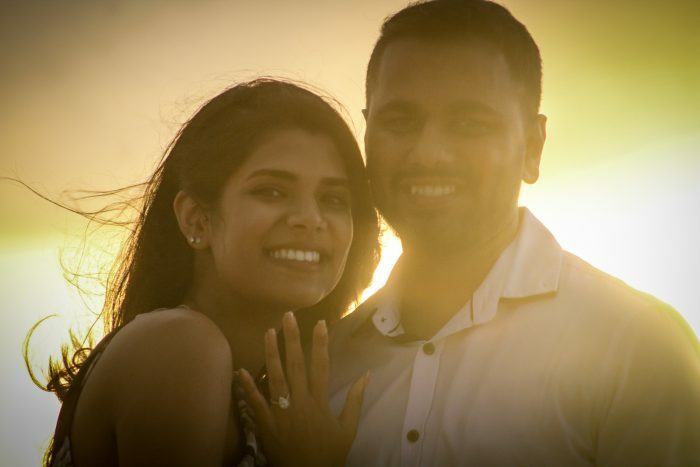 The next plan was to propose on the Sunset Cruise by Majestic. When we were on the cruise he had apparently taken the ring out of his pocket to propose but the Captain had ordered us to sit down. Then came the last plan. This plan was the best in my opinion and I’m so glad that the others didn’t work out so well. Rajneil planned for us to have an Island Tour however, the tour guide will be taking photos of us. So I was completely oblivious to the plan and just thought it would be nice to have a new profile picture or update my Instagram haha. The tour started off great we saw some sights took some photos and then we went to Sunset Beach. Rajneil was really adamant on waiting for the nice sunset to take the perfect picture. I was being impatient, we had a long day and all I wanted to do was go back to the hotel and relax. But we waited and waited until the sky looked absolutely perfect. He said “Let’s take a photo of us looking at each other. It will be a nice silhouette” so we did. Then he got down on one knee and popped the question. I was so shocked that I think everything around me became a blur. I don’t even remember if I said “yes” or not. I remember crying and just hugging and kissing him whilst trying not to freak out too much. The tour guide took such beautiful photos and even bought us a bottle of champagne.